In the latest installment of the debate of over Michael Strahan and Sara Haines‘ chairs on the newly renamed “Strahan & Sara” (formerly known as “GMA Day“), Strahan pulled the short straw. In a running gag that’s been going on since the show debuted a new name, logo and branding Monday, the hosts’ pricey mid-century modern chairs were swapped out with alternate ones. On Friday, Feb. 1, 2019, Strahan got stuck with a folding lawn chair, with Haines got a nice comfy theatre-style recliner. Meanwhile, Strahan and Sara and are also angling for some new hats. Hat store Lids tweeted “Look, mom, I’m on TV” in response to a viewer’s tweet that notes how prominently the store’s lighted sign across the street form ABC’s Times Square Studios shows up behind the new home base. 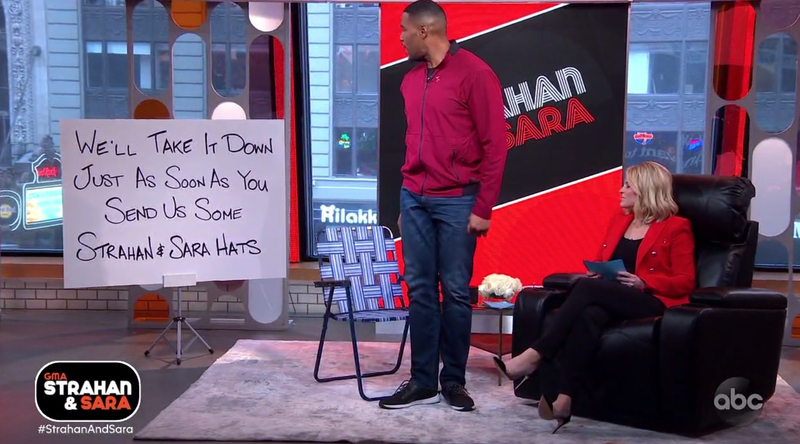 Strahan was ready with some of his own “set design” — he pulled a large sign on a tripod reading “We’ll take it down just as soon as you send us some ‘Strahan & Sara’ hats” that covered the view of the Lids logo. 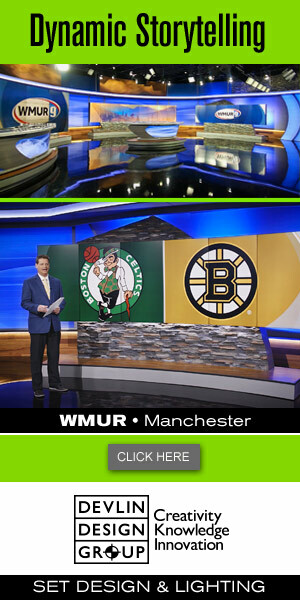 It’s worth noting other signage can been see prominently behind the pair’s new main set — including Rilakkuma, a Japanese toy company, and Bubba Gump Shrimp Company — so those companies might want to start thinking about sending over some stuffed animals and shrimp meals.